The trails around mighty Manaslu (8,156m), the world’s eighth-highest mountain, have it all. Steamy lowland valleys and fields of rice give way to ice-coated passes haunted by leopards and who knows what else. There are mystical valleys rich in Tibetan culture and monasteries stuffed with treasures. There’s exhilarating walking with relatively few other trekkers and exciting day-long side trips to glaciers, base camps and hidden gompas. The Manaslu region didn’t open up to foreign trekkers until the early 1990s ( the neighbouring Tsum valley opened even later) but it was an instant hit with those wanting a challenging and less developed trekking area. Anyone who has walked in the shadow of Manaslu will probably tell you that overall, this is one of the most rewarding trekking areas in Nepal. There are trekking lodges all along the standard routes in Manaslu but for now, they are a lot more primitive than those on the Everest and Annapurna treks. Getting to the trailheads in this area is easy and cheap with frequent public transport from Kathmandu and Pokhara. Wonders never cease on the Manaslu Circuit trek, but the best part is near the end. The Larkya La (5,160m) isn’t the highest trekking pass in the Nepalese Himalayas but it’s certainly one of the most dramatic. It’s a draining climb up to the pass but the reward is a sweeping view over dozens of mountains. Only opened to tourists in 2008, the Tsum valley is an isolated Tibetan realm with beautiful gompas, traditional villages and exciting exploratory treks. It’s considered a baeyul, or hidden paradise land, in Tibetan culture. There are some fabulous side trips on both the Manaslu Circuit and the Tsum Valley treks and you should allow three or four extra days to enjoy them. Chances are that treks to Manaslu base camp, to the high passes along the Tibet border, or to crystalline lakes and atmospheric monasteries will turn out to be the most memorable part of your trek. Being a relatively recent addition to the Nepal trekking scene and, for now, relatively quiet, the Manaslu area offers the chance to see traditional village life where agriculture and yak herding play a more important role in local economies than tourism. When the Manaslu Circuit opened to trekking tourism back in the early 1990s it was an almost immediate hit. The first trekkers returned with tales of stupendous mountain scenery, fascinating and varied village life and challenging walking. It soon gained a reputation as the new Annapurna Circuit – and as that walk was long considered the world’s best trek, it was a big claim indeed. Now, after 25 years of trekking, the Manaslu Circuit continues to live up to expectations. This walk really does have it all. Over two weeks the scenery – and the people – gradually change. Hills turn to mountains, fields of wheat to pine forests, glaciers, and high mountain wastelands. You start among Hindus and later meet Tibetan Buddhists. There are several exciting day trips off the main trail and the crossing of the Larkya La pass (5,160m) is one of the most thrilling in Nepal. This is a trek with a real sense of journey and achievement, worthy of all the praise. Bear in mind though that although the Larkya La is a little lower than similar passes on the Annapurna Circuit or Everest Base Camp treks, this is generally harder and facilities are much more basic than on those other two. Don’t expect apple pie and wi-fi at the end of the day. If time allows it’s highly rewarding to tack the Tsum Valley trek on to the Manaslu Circuit. Otherwise, the Manaslu Circuit trek finishes on the main Annapurna Circuit so if one high pass isn’t enough for you, you can carry on up and over the Thorung La and down to Jomsom, from where another world of possibilities opens up. Trek Duration: 14-18 Days (It’s best to allow 18 days to enjoy the many side trips and to acclimatise properly). Tucked up to the northeast off the main Manaslu Circuit, the Tsum Valley has only been open to trekkers for a decade. The views are wonderful but they are not so much the attraction here (although if you have camping gear then an overnight trip to the Ganesh Base Camp at about 4,000m rewards with a stunning view of mountains that some rate as good as that from Annapurna Sanctuary). Instead this is all about venturing off the beaten path and discovering an older pace of life where the farming seasons and Tibetan Buddhism are all-important. There is a set trail that takes about seven days but much of the delight of the Tsum Valley lies in making your own routes. Add in overnight excursions to the frozen Tibetan plateau at the head of the valley and veer off to explore Milarepa’s cave, Lungdang gompa and the stunning Ganesh Himal base camp, and you’ll want to devote at least 10 to 12 days to this fascinating region. The Tsum Valley rewards time and patience and the more of it you have, the more you’ll be enchanted. Note that the trailhead is Lokpa which takes two to three days’ walk along the Manaslu Circuit to reach. You need to include this into the minimum time frame below. For the ultimate Tsum and Manaslu experience, when you’ve finished in Tsum head up the Manaslu Circuit and over the Larkya La. Max. Elevation: 3,709M for main trek; about 4,200M for side trips. For those on organised camping treks, a fabulous alternative route for the first half of the Manaslu Circuit is to start trekking from Chanaute or Barpak, both of which are north of the town of Gorkha. Cross over the Rupina La (4,720m; April to November only), and join the Manaslu Circuit at Lokpa. This is a real wilderness trek with around five days away from all human habitation except for the occasional herder with his yaks. 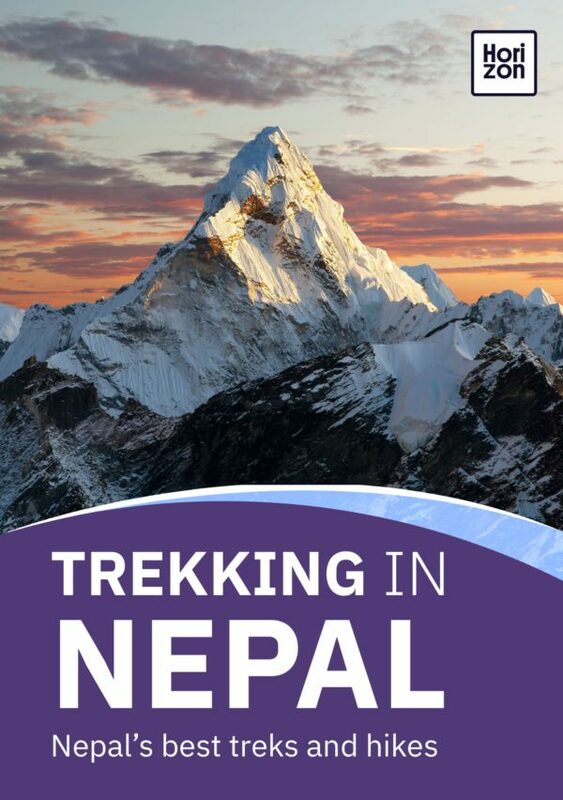 The trail skirts the Gorkha and Boudha Himal and has impressive mountain views. For the Manaslu Circuit trek you need a TIMS card, Manaslu Conservation Area Permit and a restricted area permit (seven days September to November/December to August, US $70/50. Additional days after the first week, US $10/7). For the Tsum Valley you need the same permits plus a Tsum Valley permit (seven days September to November/December to August, US $35/25. Additional days after the first week, US $3.50/2.50). Technically, for any of these you must be in a party of at least two trekkers and be accompanied by a guide. However, it’s possible to pay for a second “ghost” trekker permit. All these treks except the Tsum Valley are best between October to November and March to May. Between late November and late February the Larkya La and the Rupina La will be buried under snow and almost certainly impossible to cross. Avoid trekking most of this area during the monsoon. Being slightly into the Himalayan rain shadow the Tsum Valley is possible to trek between March and early November though during the wettest June to August period mountain views are likely to be obscured. April to May and October are perfect for Tsum. Trekking lodges along the Manaslu Circuit are improving fast, now not far behind those of the Annapurna and Everest regions. For now, the Tsum Valley is all homestays. Not as comfortable perhaps, but much more interesting. It’s a very good idea to come to the Tsum Valley with camping gear as that opens up possibilities for interesting overnight side trips. The Rupina La trek is 100 per cent a camping-only trek. There are no flights to trailheads in the Manaslu area but getting to the start and end points of any of the treks couldn’t be easier by public or private vehicle from either Kathmandu or Pokhara.